Only 40 examples were built. Their owners were hand-picked. The track-only Ferrari FXX K Evo began its two-year production run in 2015 and remains one of the most formidable track machines ever built. 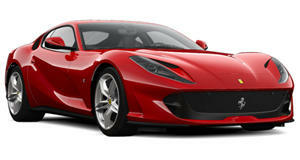 Its 1,036 hp and 664 lb-ft of torque are provided by a naturally aspirated 6.3-liter V12 and a KERS style electric motor. Top speed is a claimed 217 mph. But now that it’s out of production, why is Ferrari testing this camouflaged example at the Nurburgring? Our spy photographers just snapped this fresh crop of images and aside from describing to us the incredible sound the Ferrari makes, an explanation for its continued testing could not be found. There are a few theories, however. It’s certainly possible that what we’re looking at is a prototype for something else, something with a similar powertrain setup. Ferrari has made no secret about its upcoming electrification plan, though a fully-fledged EV is not happening quite yet. Instead, hybrids and/or plug-in hybrid models will launch within the next few years. Rumor has it the first one will premiere next month. While the LaFerrari and FXX K Evo programs were very limited in production count, electrification will soon become a crucial element to Ferrari’s more mainstream lineup. Therefore, the camouflaged FXX K Evo featured here may really be a testbed for an upcoming street-legal model. Another possibility regarding its true identity, though this is kind of unlikely, is yet another track-only LaFerrari variant might be in the works. 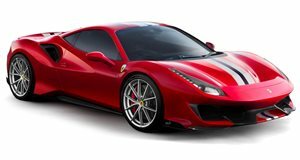 There are always continuous technological advancements and Ferrari has long been a leader in this field. An improved KERS system with even more electrically-sourced horsepower is not impossible. 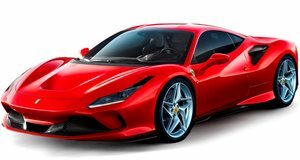 Ferrari may be fairly conservative when it comes to annual production figures in order to avoid brand equity dilution, but an ultra-limited run of track-only hypercars to ultra-wealthy select customers is a slightly different way of doing business.